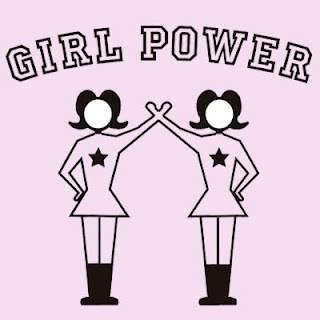 What does Girl Power mean to you? 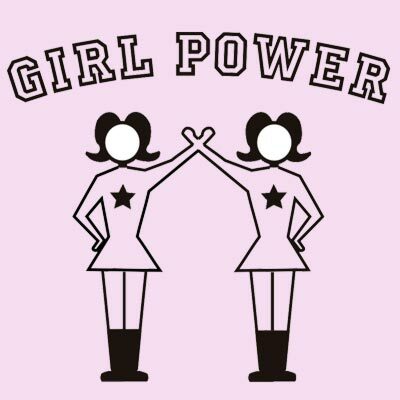 Standing up for women’s rights and girls getting along and not being bitchy or unkind to other people. Standing up for what you believe in and respecting others for standing up to whatever is they believe in and supporting them. What is the best advice you can give to girls who want to be powerful? Believe in yourself. I know that’s been said thousands of times but unless you believe in yourself and believe that you can make a difference then why should you expect other people to believe in you too? Be the change that you want to see in the world. If you could have any super power, what would it be and how would you use it? That’s a really tough question. I would really love to be able to fly. One because I hate traffic and public transport so if I could fly I could just take off and get to where I needed to be quickly, and two because the thought of flying just seems so free. Feeling free like you could go anywhere you wanted to at any given time would be an amazing feeling to have twenty-four seven. Show us your best girl power (picture) pose? I tried to take a picture with my webcam but it wouldn’t work due to lighting as although it’s very cold outside today it’s very bright also. My pose would be something along the lines of a silly version of Wonder Woman’s pose. What beauty product makes you feel powerful? Red lip stick. I think when a woman puts on red lipstick she is ready to take on the whole world. Why is it important to have power girls as role models? Because when girls are younger we look up to our idols, just like everyone does. If your idol is somewhere who isn’t a good role model then its going to take effect on you too and effect your views on things. Princess Diana was who I looked up to as a child, well her and Ariel the little Mermaid anyway. I hate the way the media puts into children’s heads from a young age that the people to look up to are the ‘popular kids’ in their schools or the people who are drunk/high all the time. No! The people we need to be looking up to are the geeks and the nerds of this world. They are going to be the ones who are going to go on and safe peoples lives, save animals lives, save the planet, go into space, discover new medications, and so on. Do not ever judge someone on their need to study or read in their spare time instead of going out drinking or passing up on a night out with friends to stay home and study. We need women in this world who can be strong, and determinant to catch their dreams not just chase them. What young up and comer do you think is powerful and why? Emma Watson. I think everyone can see that she is going to be a real role model to a lot of people, not just because of her United Nations speech but because she is a beautiful, young, intelligent woman who went and chased her dreams and succeed. 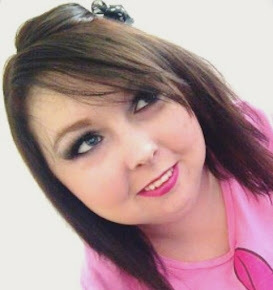 I really enjoyed doing this blog tag so I hope you all enjoy reading this blog post. I want to tag these beautiful's: Cat, Becka, Claire, Lauren Hollie Rose and Laura. If you get around to doing this tag, let me know so I can read them? Have a great day!